Trade in your old car for a new Hyundai. Save up to £4,000*. 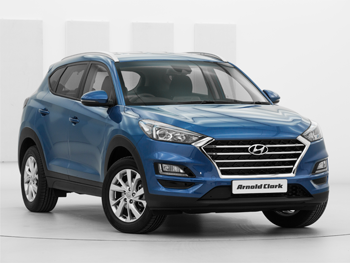 Hyundai is making new cars more affordable when you trade in your old car with their Scrappage and Emission Reduction Scheme. So if you’ve been hankering after a shiny new Hyundai for a while, you could enjoy savings of up to £4000 on selected new models, and dispose of your old one responsibly. Rated between Euro 1 and Euro 5 for emissions. Registered on or before 1st October 2011. Owned by you for over 90 days. *Savings shown are for eligible Hyundai Scrappage and Emissions Reduction Scheme customers only, and reflect customer savings against the manufacturer’s recommended OTR price. On The Road prices include VAT where applicable, delivery, vehicle first registration fee, number plates and 12 months’ road fund licence. i30 N and KONA Electric models are not available as part of the Scrappage and Emission Reduction Scheme. These savings are only available to eligible customers who trade in a qualifying passenger car first registered in the UK before 1st October 2011. New Hyundai cars must be registered between 1st October and 31st December 2018. The V5C of the part exchange address needs to match the new vehicle invoice and must have been in the current owners’ possession for a minimum of 90 days. Finance terms and conditions apply. Subject to status. 18s or over. Guarantee may be required. Hyundai Finance, RH2 9AQ. The Hyundai Scrappage and Emission Reduction Scheme incentive cannot be used in conjunction with any other national Hyundai offers. The Hyundai Scrappage and Reduction Scheme is not applicable in the Channel Islands or the Isle of Man. **i30 N and KONA Electric models are not available as part of the Scrappage and Emission Reduction Scheme. These savings are only available to eligible customers who trade in a qualifying passenger car first registered in the UK before 1st October 2011. New Hyundai cars must be registered between 1st October and 31st December 2018. The V5C of the part exchange address needs to match the new vehicle invoice and must have been in the current owners’ possession for a minimum of 90 days. Finance T&Cs apply. Subject to status. 18s or over. Guarantee may be required. 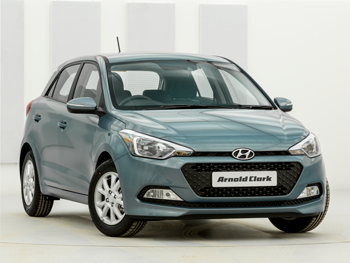 Hyundai Finance, RH2 9AQ The Hyundai Scrappage and Emission Reduction Scheme incentive cannot be used in conjunction with any other national Hyundai offers. Other offers for eligible customers are available. Please contact your local Hyundai dealer for details. The Hyundai Scrappage and Reduction Scheme is not applicable in the Channel Islands or the Isle of Man.